This, the third branch of the Silharas, was under the rule of Rashtrakuta king Krishna III (and governed in south Maharashtra). Their capital was Karad (later Kolhapur, with the hill fort of Panhala as their royal residence), and they worshipped the Goddess Mahalaxmi. Their loyalty initially lay with the Rashtrakutas, but this was later transferred to the increasingly dominant Chalukyas. Their official language was Kannada, anf they were mainly Shaivites (worshippers of Lord Shiva). Founder of the South Maharashtra Silharas & Rashtrakuta vassal. 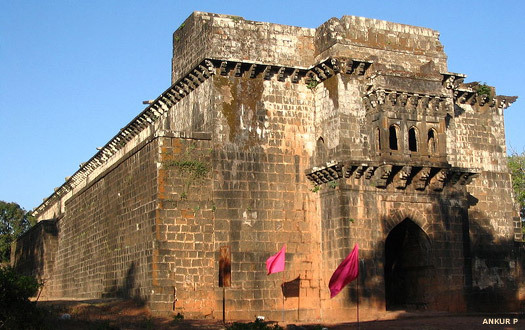 Jatiga defeats the Chalukyas and declares himself king, ruling from Fort Panhala at Kolhapur. The Chalukya king, Jayasimha, takes direct control of the South Konkan kingdom and re-takes Kolhapur. Gonka accepts Chalukya suzerainty and retains his kingdom. He later captures Karad, Miraj, and parts of Konkan which are under Chalukyan overlordship. Son. Ruled from Fort Kilagila as his capital. May have ruled alongside Bhoja for a time. Vijayaditya defeats King Jayakesin II of Goa who had earlier defeated his Silhara counterpart of Thane. He assists Bijjala, the minister of his Chalukyan overlord, Taila II, to usurp power. But only after the death of Bijala is he able to become the undisputed king of Konkan. Bhoja is the last of the powerful Silhara rulers in Kolhapur. He is defeated by Singhana II of the newly dominant Yadavas. Kolhapur becomes the capital of a minor Maratha state under the deposed and exiled Shivaji II, son of Raja Ram.